Charming Cottage feel. Hardwood flooring, built-in’s, natural woodwork. This home has a lot of potential. Partially finished basement with Family room and possible 3rd. bedroom, lots of storage. Nice size kitchen with appliances included. Enjoy the large yard from the deck off of kitchen. Two additional lots available for purchase seperately. Enough room to build another home, or just enjoy the extra space for outdoor activities. Great location and easy to show. 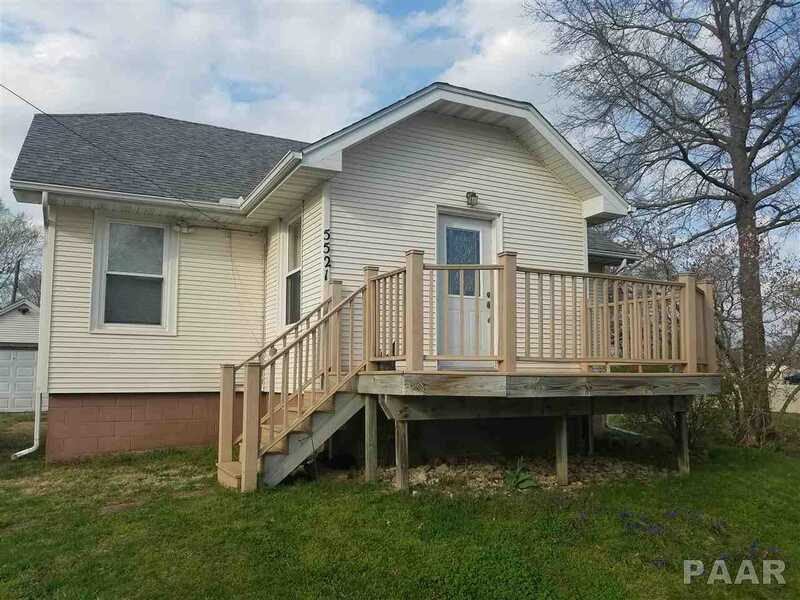 Please, send me more information on this property: MLS# PA1203694 – $99,500 – 5521 E Lasalle Street, Chillicothe, IL 61523. I would like to schedule a showing appointment for this property: MLS# PA1203694 – $99,500 – 5521 E Lasalle Street, Chillicothe, IL 61523.